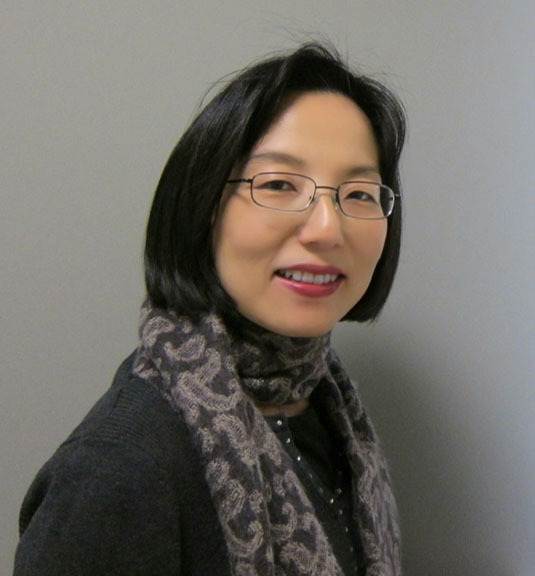 Y. Lynn Wang, MD, PhD, FCAP, is a Professor of Pathology at the University of Chicago Medicine. Dr. Wang served as the Founding Division Director of the Genomic and Molecular Pathology. Under her leadership, her team successfully brought live17 new clinical grade genetic tests in three years, including several nextgen sequencing testing panels for personalized cancer care. As a physician-scientist and the Director of Lymphoma Translational Pathology, Dr. Wang is the principal investigator of several translational research projects on aberrant signal transduction pathways in B-cell lymphoma and leukemia. The Wang lab is one of the pioneers who explored the idea of targeting BCR signaling in lymphoid malignancies before BCR-directed therapies became widely known and used for patient treatment. Using inhibitors of LYN, SYK and BTK, the lab has demonstrated the critical role of BCR signaling in lymphoma cell proliferation and survival in diffuse large B cell lymphoma (DLBCL), chronic lymphocytic leukemia (CLL) and mantle cell lymphoma (MCL). Dr. Wang’s work on B-cell receptor signaling and BCR-targeted therapies has extended to the characterization of the molecular mechanisms underlying drug sensitivity and resistance. In particular, Wang lab contributed significantly to the understanding of the mechanisms leading to resistance to SYK and BTK inhibition. In May 2014, the lab reported their discovery of BTKC481S mutation in a CLL patient with ibrutinib (a BTK inhibitor) resistance in the NEJM which was followed by several studies elucidating the molecular mechanisms of primary and secondary resistance to ibrutinib in CLL and MCL. Wang Lab has contributed more than 60 original works to quality peer-reviewed scientific and medical journals and she is the major contributor in 35 of them. Dr. Wang has been invited to deliver more than 70 oral presentations at national or international forums. She reviews manuscripts for many professional journals including Blood, Leukemia, Cancer Cell and Science Translational Medicine. Dr. Wang received her MD from Beijing Medical University in 1988 (conferred to a US MD degree in 2002) and her PhD from Brandeis University in 1996. She completed her Clinical Pathology Residency, Clinical Molecular Pathology Fellowship and postdoctoral research training at the University of Pennsylvania. She is board-certified in Clinical Pathology and Molecular Genetic Pathology. Before joining the faculty of the University of Chicago, she directed the Molecular Hematopathology Laboratory and her lymphoma translational research laboratory at Weill Cornell Medical College for eleven years.